At the SEMA show in Las Vegas last year we showed you the debut of AmericanMuscle.com’s 2014 Ford Mustang project car featuring their line of MMD parts. If you like the look of the car, then you better pay listen up. American Muscle is actually giving the car away at their annual car show this August. That’s right, you can actually drive this Mustang home with its $30,000 worth of aftermarket parts. So what comes with the MMD Mustang? For starters it has the full MMD exterior parts catalog installed from hood scoop to 20inch-wheels and rear diffuser. It’s not all about looks, though, as the car also has a full Airlift suspension system, Vortech supercharger system, Ford Racing side exhaust kit and more. Adding to its accolades are an appearance at the SEMA show and the cover of the most recent issue of Muscle Mustangs & Fast Fords. 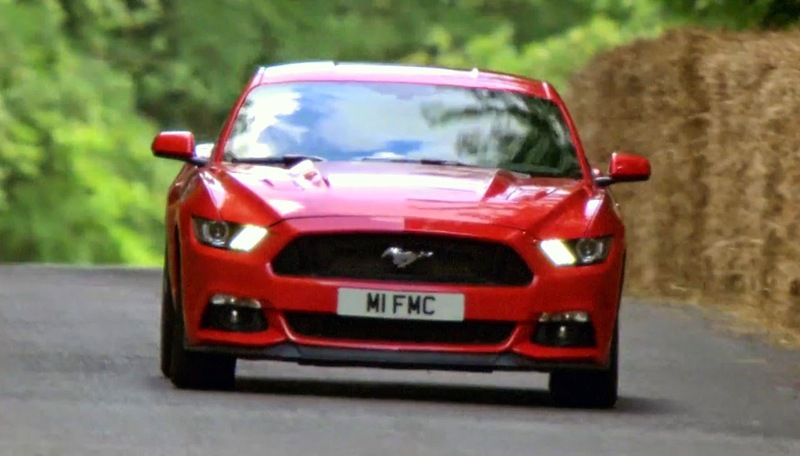 So want to win the MMD Mustang for yourself? Just head over to AmericanMuscle.com and sign up for free. This entry was written by by Drew Phillips (Mustangs Daily) and posted here on Tuesday, April 29th, 2014 at 3:03 pm and is filed under News. This article was not written by us, rather gathered using RSS feeds listed here. We take no credit for this article. You can leave a response, or trackback from your own site.